M&C Property bring this pleasant and well laid out two-bedroom apartment to the market in Limerick City Centre. 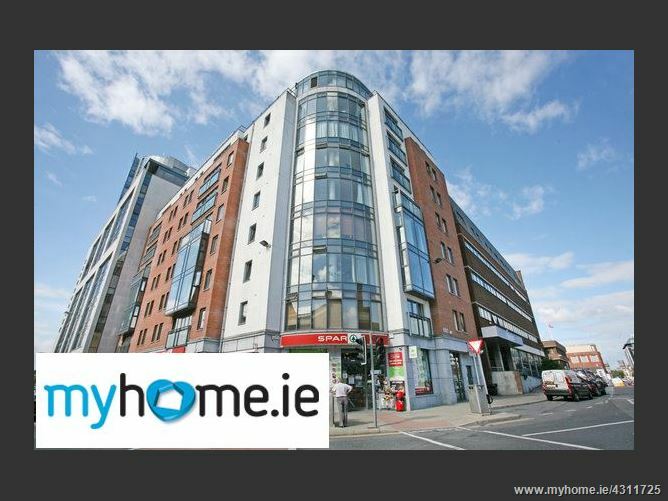 Newtown house is a modern apartment building situated on Henry Street and within very comfortable walking distance of all of the city centre amenities. Investors should take note that the property is currently vacant but could expect to generate a rental income of €900 - €950 per month. 406 is located on the fourth floor of the building and is serviced by a lift. There is secure access to the development from the street and managing agents have been retained to manage the day to day running of the property. There is a large Spar shop on the ground floor of newtown House and the adjoining Dock Road gives easy access to the road network surrounding Limerick City. Pleasant riverside walks can now be enjoyed along the newly remodelled Howleys Quay. Living / Dining Area - 3.55 mtrs x 5.2 mtrs Kitchen - 2.46 mtrs x 2.03 mtrs - adequate supply of floor and wall units. Plumbing for washing machine, dishwasher. Bedroom 2 - 4.16 mtrs x 2.5 mtrs - Double bedroom. Bedroom 1 - 2.47 mtrs x 5.22 mtrs - Built in wardrobes and fully tiled en suite shower room with electric shower Main bathroom - 2 mtrs x 1.48 mtrs - Bath, toilet and sink. Fully tiled. There is a hot press and very useful storage closet in the entrance hallway.